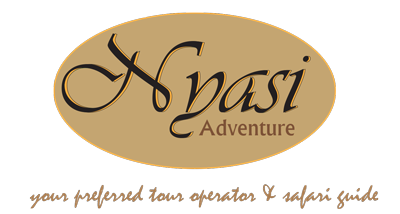 "Nyasi Adventure" is a tour operator based in Dar es Salaam, United Republic of Tanzania found by two fervent local partners who have worked in the tourism industry for over 14 years. Our itineraries are designed to fit your safari wishes depending on the number of people who are travelling, your period of stay, where you want to go and the kind of experience you are hoping for if there's anything specific you want to see or do. We also plan your safari in accordance with the type of accommodation you like (e.g. luxury hotels, lodges, tented camps, public camping or private mobile camping), and mostly considering the budget you would like us to try to keep to for you. In addition to that, we will advise you on improvements which you might want to consider.